I will drive from The Hague to Loppersum next Sunday morning, leaving around seven. Return journey next day (early?) morning. Max 3 seats offered. 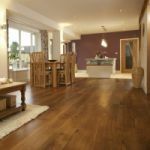 We specialize in solid wood flooring company offer a wide range of wood species such as oak, walnut, ash & bamboo to name a few. You can also choose from a variety of finishes, plank sizes, and thicknesses to suit your interior design plans. 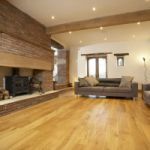 Solid wood flooring company in London provides a range of beautifully engineered Solid wood flooring company, acoustic underlays, fitted furniture, and internal & external doors in vibrant & diversifying colors. Welcome to the Code Rood transport finder app! Here you can find information about self-organised travel by car/ bus/ train within the Netherlands and abroad to the Code Rood camp and action. If you have any question email code-rood@riseup.net. Du suchst nach der Ende Gelände Börse? // You are looking for the Ende Gelände Börse?